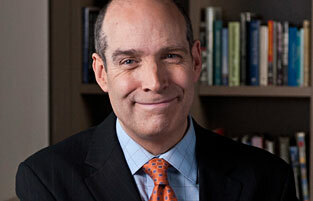 Geoffrey Baer is a multiple Emmy Award-winning producer and program host for WTTW Channel 11 (PBS) in Chicago. He is best known as the host and writer of WTTWs popular feature-length specials about Chicago architecture and history including Chicagos Lakefront, Chicago by Boat: the New River Tour, Chicagos Loop: a Walking Tour, and Chicago by L: Touring the Neighborhoods, as well as six programs covering virtually all of Chicagos suburban areas. He took viewers on a culinary tour in The Foods of Chicago: a Delicious History, which was nominated for a coveted James Beard Award, and explored the surprising side of the city in Hidden Chicago. His seventeenth special, Biking the Boulevards debuted in the fall of 2010. Mr. Baer also appears regularly on WTTWs flagship nightly public affairs program Chicago Tonight answering viewers questions about Chicago architecture and history in a segment called Ask Geoffrey. In his 21 years at WTTW he has been Executive Producer of the weekly cultural magazine show Artbeat Chicago and of the weekly documentary series Chicago Stories. He has also written and produced numerous other documentaries and cultural and entertainment specials for WTTW and PBS. For radio, he writes and narrates stories about Chicago history heard nationally over NPR stations on weekly broadcasts of the Chicago Symphony Orchestra. Before joining WTTW, he worked at local NBC and ABC TV stations in Cincinnati, Michigan, and Philadelphia. He also spent five years on the theater faculty at Chicagos high school for the arts. In addition to his Emmy awards, Mr. Baer has received the CPB Gold Award from the Corporation for Public Broadcast, and awards from the National Association of Broadcasters, the New York Festivals, the U.S. International Film and Video Festival and the Chicago Headline Club. He has also been honored by the American Society of Landscape Architects and the Illinois State Historical Society. 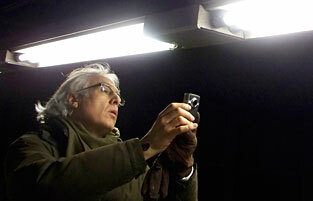 Mr. Baer has been a docent for the Chicago Architecture Foundation since 1987. He is a board member of the Art Institute of Chicagos Architecture and Design Society and an emeritus board member of Lookingglass Theatre Company. He has a masters degree in theater from Northwestern University an undergraduate degree in Radio/TV/Film from Miami University in Ohio. Daniel Andries has been a producer with WTTW Channel 11 since the summer of 2000. He worked over half a decade as Series Producer of Artbeat Chicago, WTTW's weekly arts magazine series, earning a number of Midwest Emmys for himself, the show and its producers and hosts. His 2006 hour-long documentary on Illinois artists Orbert Davis, Dessa Kirk, Allison Joseph and the late Laura Wiley, Beauty Rises: Four Lives in the Arts was produced to celebrate the 30th anniversary of the Illinois Arts Council and won two Emmys, two Peter Lisagor Awards from the Chicago Headline Club and a Silver Plaque from the Chicago International Television Festival. Other work on the arts includes Remembering Ed Paschke, arts reporting for Chicago Tonight, producing Arts Across Illinois Centerstage and acting as Executive Producer for Arts Across Illinois. Daniel previously worked with Geoffrey Baer as producer of Baers tour shows Chicago by Boat: The New River Tour and The Southwest Suburbs: Birthplace of Chicago. Other credits include Out & Proud in Chicago, Irish Chicago, and DuSable to Obama: Chicagos Black Metropolis. A graduate of New York University's Tisch School of the Arts, Daniel first learned about architecture and Chicago history from Rexley Warren Rexford in an ongoing private tutorial on the subject that lasted years. He is thrilled to bring a little bit of that perspective to bear on Architect Robert A.M. Stern: Presence of the Past. He is also very thrilled to be working with on this project with two of his favorite colleagues, Geoffrey Baer and Sara Medlin. Sara Medlin has served as an Associate Producer for WTTW Channel 11 since the winter of 2008. Her work includes the Emmy-nominated documentary, Out & Proud in Chicago, a history of Chicagos GLBTQ community, as well as other local history documentaries: Hidden Chicago, Hidden Chicago II, Chicagos Lakefront, and Irish Chicago. She acted as Web Producer and Associate Producer for the Gracie award-winning series Health Secrets: What Every Woman Should Know. In 2005, Sara scaled the wall of Le Corbusiers Le Cabanon, the compound he built for his wife, and where he also spent summers dreaming, drawing, thinking, writing, and swimming. She holds degrees in Art & Art History from Kalamazoo College.